You can intern at ACOPIA from 1 to 12 months. **For internships from September through February, a minimum of 3 months is required. For internships longer than 5 months, ROUND-TRIP airfare from Incheon Airport to Kumamoto and a two-nights stay in Japan is offered by ACOPIA! Interns will be introduced and working with Japanese university students there. ACOPIA Cafe and ACOPIA School (Hiroba) are both located in Hongdae, Seoul. 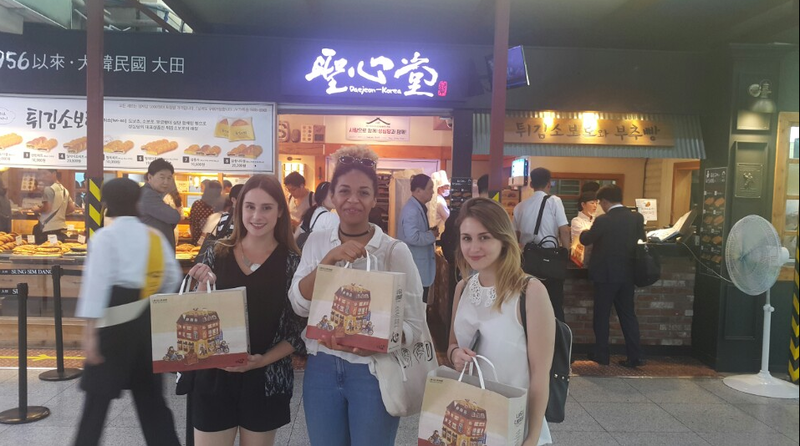 At ACOPIA, free exchange of ideas is greatly valued: holding various programs to promote Korean culture and Japanese culture internationally and to improve Korea-Japan relations. Through internships, volunteering programs, K-POP-related programs or language programs, we are serving the cause of unifying people. We currently are looking for people with experience in video editing! To get more people together, promoting ACOPIA’s programs on social media is the first step towards our mission. At ACOPIA, we give our interns the freedom to design and edit posters, flyers and videos that will be uploaded on our social media platforms: Facebook, Instagram, Twitter, YouTube, Naver blog, etc. It is a great opportunity for every intern to add in their personal touch and style to ACOPIA's social media, to improve their editing skills, and to do so for a good cause! At ACOPIA, we also believe in quality service and that e-mails can be pleasant to read. Of course, the work isn't done after a new post has been uploaded! Interns will be in charge of replying to direct messages sent through Social Media Sites. For this you get experience in customer service and Social Media Management. Serving and selling drinks and snacks. For the interns to concretely see the outcome of their work, they will have the opportunity to be accompanying staff during K-POP Camp, which is normally held during summer and winter vacations. By participating in various activities, they will also get to experience Korean culture as promoted by ACOPIA. Interns can also be asked to pick up K-POP Training Camp participants and regular ACOPIA School students. For this, you will gain experience in marketing and communications, but also in events planning, project management, and time management! Many Koreans wish to practice and better their English language skills, and one way of helping improve their language skills is to have conversations with native English speakers. Two interns are able to volunteer for this service. All interns must find create an original and unique activity that they will achieve before the end of their internship. This activity must participate in the development of ACOPIA and must be something feasible and fun to do for the intern (for example: organizing events related to your country in ACOPIA Café or create partnership programs between ACOPIA and your home University). ※ We can only have 9 interns maximum at the same time for our Internship Program in Seoul. Therefore, in order for you to be selected, when you apply you must also send us original activity that is achievable and concrete attached in your cover letter. TRIP TO KUMAMOTO IF INTERNSHIP IS LONGER THAN 5 MONTHS: Round trip tickets and accommodation all provided by ACOPIA. Bring only your passport! At the end of the internship, one of ACOPIA House’s empty bed is offered once a year for a maximum stay of 6 nights. Interns will be working under the supervision of the team manager handling a specific project. The workplace will be in Mapo-gu, Seoul, South Korea. 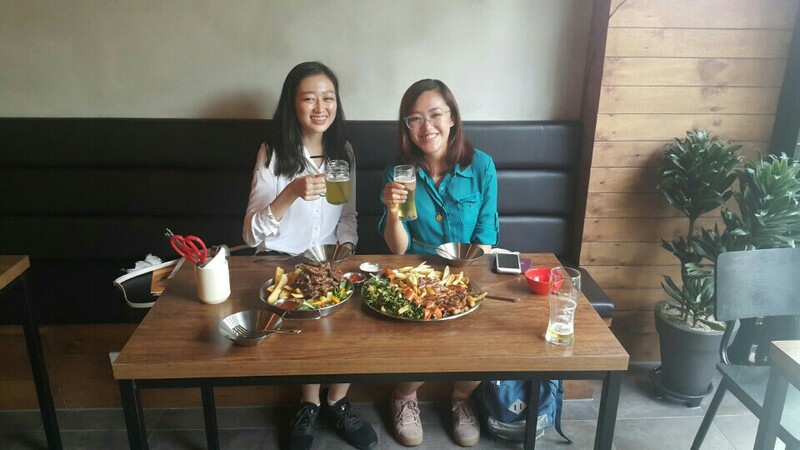 The office is 5 minutes away from Hongik University Station Exit 3. During the internship, female interns are required to stay in ACOPIA's share houses. Unfortunately we do not have share houses for male interns but we can help find a place to stay during your internship (additional fee of 300 USD). Working days are flexible, but it will be for a minimum of 4 days a week. The internship is unpaid and not funded. Interns are required to write a personal evaluation essay following their first month of internship and complete it at the end of their internship with additional content. 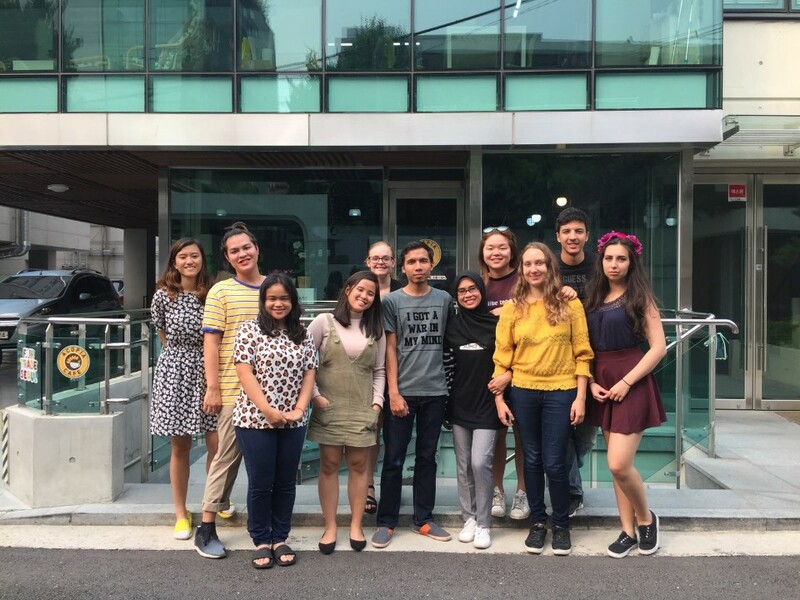 This essay contains expectations, experiences, impressions about working in ACOPIA, pictures, suggestions and recommendations of the internship program. You should also present the original activity created during the internship in the personal evaluation. Internal information about ACOPIA, such as information of clients, must be kept confidential, must not be used in non-business matters and must not be released in public even after the internship period. Interns are not allowed to give their personal information to clients that they encounter during the internship. Clients who want to keep in touch with interns and visa versa should contact ACOPIA via ACOPIA's official email and contact numbers. According to the guidance of the Immigration Bureau of South Korea, we are requiring our female interns to live in the ACOPIA House. ※The price includes rent, utility bills, and Wi-FI. ※All rooms are equipped with a bed, desk, chairs, drawers, air conditioner, and heater. ※The Share House is equipped with a television, computer, kitchen with water purifier, dispenser, rice cooker, cooking and dining utensils, washing machine and vacuum cleaner. ※ No more single room available. ※ Two double rooms available. ※ One quadruple room available. Intern team manager will outline these changes after your application. ※ Full rent must be paid a month before arrival in the ShareHouse by Bank Transfer or Paypal. ※ If the internship is less than 3 months, an additional fee of 200USD is charged. Administrative fee: Since ACOPIA is a non-profit organization that hold various programs and activities, we need funding to keep them operating. The administration fee will be implemented in funding programs and services for ACOPIA and for maintenance for living accommodations. Administrative fee must be paid in advance to do your internship at ACOPIA. If internship is canceled, the administrative fee will not be refunded. The full rent should be paid at least one month before the start of the internship. For a stay of less than 3 months, an additional fee of 200 USD will be added for Sharehouse. ACOPIA cannot sponsor your visa for South Korea. Make sure to call the Korean Embassy for your country to make sure that you can get a proper visa by your own means. ACOPIA can only give you an invitation letter. ACOPIA take precaution sending invitation letters for visa purposes due to previous occurrences, so invitation letters are sent after we receive your administration fee payment. Interns must submit a copy of the biographical page of their passport and visa if applicable on the day of their orientation to the internship program. Interns must avail their own travel or medical insurance valid for the entire duration of their internship. The payment of the administrative fee has to be done within one month of your acceptance into the internship, and the payment for the full rent for the whole stay has to be completed one month prior to the start of the internship.